Laura Toxvaerd studied graphic notation with Barry Guy, whose Witch Gong Game, influenced in turn by abstract expressionist painter/saxophonist Alan Davie, is a valuable recent example of the approach at its most subtle and creative. It has its detractors, of course, including those who see little difference between graphic scores and Augenmusik. I once had a hilarious conversation with Mal Waldron who described being presented with a beautiful graphic score dedicated to himself and in which – as I understood it – a transparency of Billie Holiday’s profile was laid over the stave, highlighting random elements of standard material. Mal mimed his own bemusement, hands floating over the keys and then ... slowly ... coming ... to ... a ... stop. No such problems here. Toxvaerd’s scores, as reproduced in the booklet, are a clever combination of visual material, much of it collaged from the eponymous directory, and relatively conventional notated themes, with areas for improvisation internally indicated. I’ve seen the detailed “Cacklecabin” before, possibly via Theresa Sauer’s Notations 21 project (which I recommend in any case), and the realization is every bit as busy and urban-hectic. It’s the piece here that perhaps most obviously reflects the Barry Guy influence, but the reference to Waldron isn’t accidental or gratuitous, since the most obvious lineage for the playing on Phone Book is the Waldron/Marion Brown duo that made the unforgettable Songs of Love and Regret. Toxvaerd’s intonation and sound production is startlingly reminiscent of Brown’s, though without the faintly off-pitch character that made him such a distinctive and hard-to-locate musician. Similarly, Anderskov favors a quite shadowed palette and a loosely vertebrate approach to meter; his time and sense of direction are both far stronger than they seem at first hearing. The combination is irresistible. Phone Book is as sensuous as it is intellectually challenging. It seems to reference all sorts of music, from the “Isfahan” line of “Androidangle” (was she channeling Hodges?) to the wonky “Star-Spangled Banner” quote that introduces “Fishbone.” I hear other stuff as well, including what might a tiny homage to the double-figures Anthony Braxton oeuvre: composition 30? 32? 96? It matters not a great deal. The feel is there, as is the sense of small-scale information building into larger and more capacious forms. 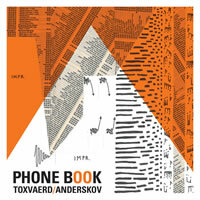 The striking thing about Phone Book is that with each repeated hearing it seems to grow from the abstract intimacies of a sax/piano duet (which can be one of the laziest and least productive formats in the music: “Alone Together,” anyone?) to a work that seems to at least imply the presence of a large ensemble. Most of these pieces would transcribe “up” to larger forces, though they do also seem perfectly idiomatic. Anderskov is a full partner in all this. His own work goes back to such underrated things as the two Scragglies Even Worse and Accident (Laura plays on the latter, as I recall), and he’s also a man to watch, a genuine reinventor, as opposed to trendy subverter, of the piano trio literature. But this is Laura’s date by virtue of the compositions, which are simply wonderful. Instrumentally The Whammies are reminiscent of such Lacy units represented on Regeneration, Change of Season and Dutch Masters (all feature Bennink, pianist Misha Mengelberg, and either George Lewis or Roswell Rudd on trombone, and all are on Soul Note). 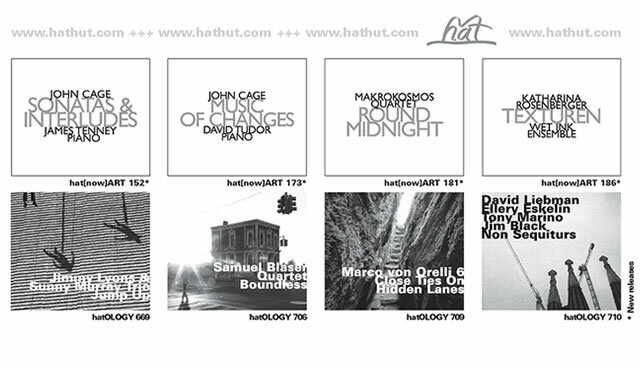 Not coincidentally, two of those recordings are also repertory-based and engage the music of Monk and Herbie Nichols. There is a significant portion of Lacy’s work that treats composition as a vehicle for collective exploration, even with the familiarity of the composer’s hand book-ending improvisations. The Whammies approach this music in such a fashion, searching for a personal approach within limned guidelines. Sometimes the ear wants to call the original versions of these tunes to mind – that’s part of Lacy’s distinctiveness showing through – and it’s arguable that certain hallmarks are abandoned, such as the dusky and stark side of his work. Take, for example, one of Lacy’s heaviest pieces, “The Wire.” Here, it’s rendered with Karayorgis’ crashing chords and its clambering tiptoe melody shrill with EWI, violin squeaks and guttural trombone, but The Whammies’ take doesn’t have the furious “leap into the void” of other incarnations. As with any repertory, the chief concern of the musicians should be to make the work their own. For example, Dijkstra’s dry, motivic commentary is cool and winnowing, reminiscent of John Tchicai and fellow Dutchman Gilius van Bergyck. Coupled with Bennink’s clattery swing and the jarring intervallic leaps of Karyorgis’ piano, the group projects off-kilter warmth through the heads and collective passages. Often, the pianist tends to project the most significant monkey wrenching, as he pretty much blows open the beautifully eliding “Dutch Masters” in a pot-stirring duet with Bennink, small phrase clusters becoming ever broader at the insistence of the drummer’s floor-scuffing swipes. Bishop follows with bright and slushy chortle; his detailed loquaciousness is part of the reason for the record’s collegial feel. The title composition begins with a massive piling of voices, players crowding one another and then backing off; Dijkstra skirls excitedly with square-shouldered grooves, while Bennink shifts from Sunny Murray-like freedom to pattering, brushy time as Bishop takes the foreground. 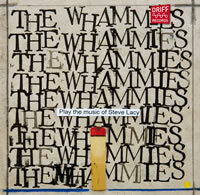 The Whammies are a fine reminder of the singularity and power of Steve Lacy’s work, and through the process of engagement, the group’s own identity is so strengthened.